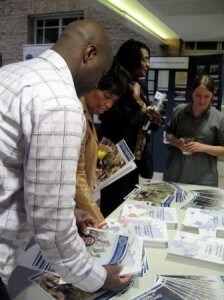 The CSC evaluation report Assessing impact in the health sector was launched on 27 May 2010, at the London School of Hygiene and Tropical Medicine. Guests included current Commonwealth Scholars and Fellows, members of the CSC’s panel of Academic Advisers, supervisors from UK universities, and representatives from Professional Fellowship host organisations in the field. Dame Sally Davies, Director General for Research and Development at the Department of Health, also attended. Photos of the event are available on Flickr.